Summer is nearly upon us, and with that comes the need to get in shape for swimsuit season. The cold winter months have helped all of us (me included) put on some winter weight. Now it’s time to slim down and get ready for summer BBQs and beach parties. If you’re a gym owner that has an outdoor fitness bootcamp offering at your business, you’re probably thinking, how can I get more people in my bootcamp this summer? Well, you’re in the right place. Below are four easy ways you can increase your fitness bootcamp membership. One of the easiest ways to get more people into your summer bootcamp is to do some good old fashioned flyer marketing. If you’re a FitnessTexter client, you can print out some of the marketing flyers we provide and put them up around your city. With your texting slogan nice and visible, you’ll generate a handful of new leads every week and you’ll hopefully get more people working out. Make sure to put your flyers up in popular areas like local dog parks, coffee shops, community centers, etc. The more places you get your flyers up, the more leads you’ll generate. If you’re social media savvy (and you should be if you’re a gym owner), you can set up a localized marketing campaign using either Facebook or Google AdWords Local. Set up a geofence of the area that you want to advertise in. If you’re located in the north Chicago, you don’t want to be spending your advertising dollars on people in south Chicago. Use zip codes or other localizing features to make sure that your ads are only getting shown to people in the right spots. If there are some weight loss studios in your area, it might be a worthwhile effort to set up some partnerships. Their members will get access to your fitness bootcamps, and your current gym members can get access to their weight loss products. This partnership idea also works well with yoga studios or any other type of business that caters to people looking to get into shape. 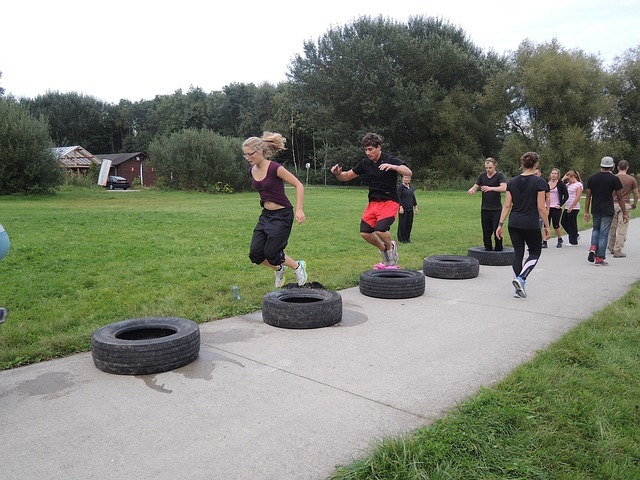 Last but not least, make it a point to get your bootcamps set up in public areas. The more people that see your bootcamps in action, the better chance you’ll have of someone coming over and asking for a business card. You don’t have business cards to hand out? Get with the game! Make sure you’re always carrying a handful of cards along with you so that you can hand them out to people that are interested in getting started.